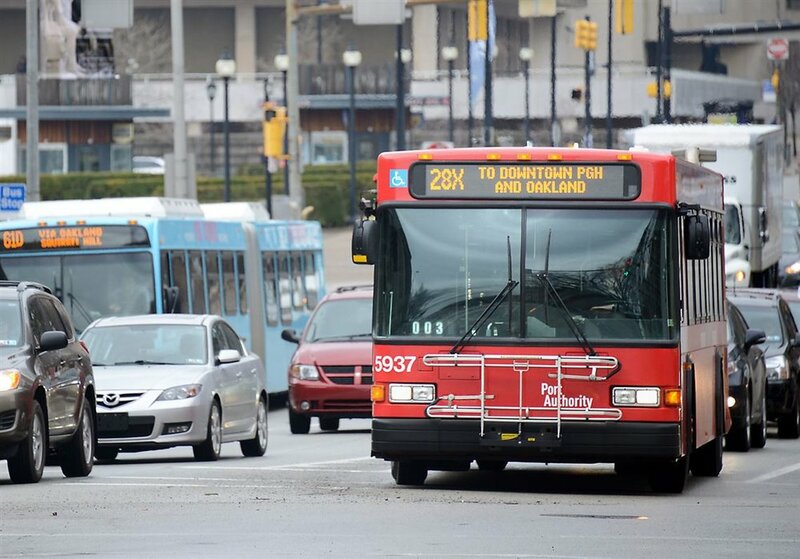 In 2017, drastic cuts were being made to Pittsburgh’s Port Authority bus service. This was affecting members of the community at Carnegie Mellon University (CMU), especially students living off-campus. 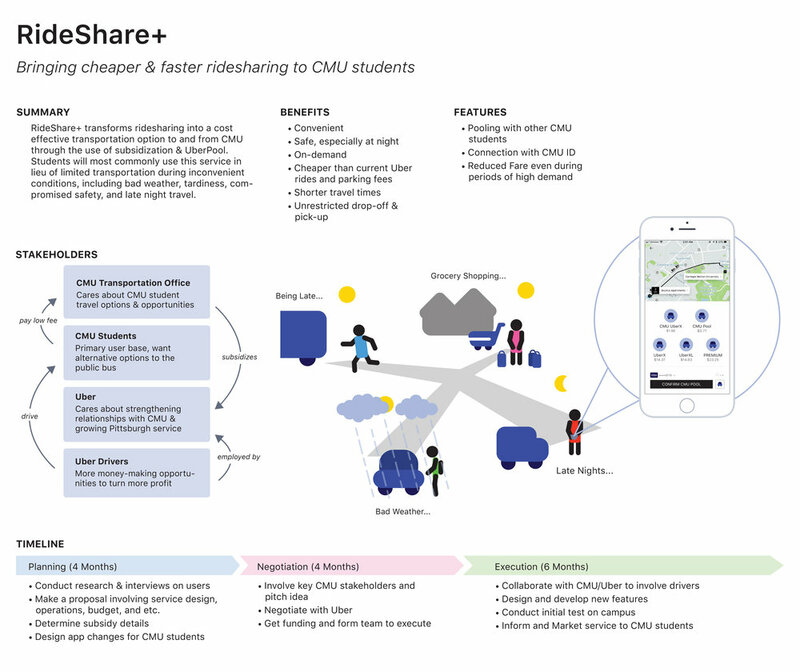 As a user researcher and designer, I investigated transportation to and from campus with the goal of increasing the mobility of the CMU community to mitigate the effects of these bus cuts. Our client was the Graduate Student Assembly (GSA), part of the task force that develops strategies for bus cuts. Given the client’s goals, I, along with four other researchers, conducted preliminary research and built a project focus to create a shared understanding within our team. We then used stakeholder mapping to better understand the space of who we were working with. We conducted interviews with stakeholders, ranging from students to administration, to better grasp the motivations, problems, uses, and lives of our users. To interpret the data, we broke down detailed notes into hundreds of stand-alone post-its. From the bottom up, we organized post-its into an affinity diagram. We also used these notes to produce individual and consolidated sequence models and day-in-the-life models to help fit our solutions to the lives of our users. Using the diagrams and models we constructed, we each walked the wall to immerse ourselves into the user’s world and generate a diverse range of ideas and questions. We discovered the most prevalent and pressing pain points regarding the bus service to be late nights + safety, tardiness in the morning, bad weather, and waiting times. From there, I organized design ideas, breakdowns, and questions into a more digestible form, which we used to sketch out potential solutions. When brainstorming solutions, we generated a breadth of out-of-the-box solutions in order to get our creative juices flowing! With three of these visions, we produced storyboards, which we presented to stakeholders for feedback. How might we provide fast & affordable transportation options for unplanned needs and occasions? Ultimately, we proposed a ride sharing partnership with Uber, to target conditions of bad weather, late nights, and tardiness. The service caters specifically to students, giving them cheaper rides to and from campus at times when bus services are busy or scarce on the weekdays. Thanks to team: Simran Jobanputra, Arlex Gole, Daiki Itoh, & Yumei Jin.